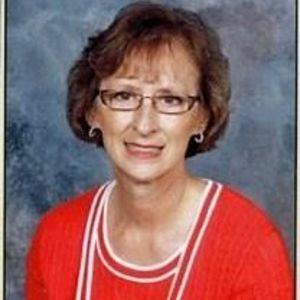 Jane Moser Bullard, 61, of Liberty passed away at her home on Monday, January 1, 2018. A funeral service will be held on Wednesday, January 3, 2018 at 11:00 a.m. at Sandy Creek Baptist Church, 4765 Sandy Creek Church Road, Liberty, NC, with Rev. Travis Brock officiating, burial will follow in the church cemetery. The family will receive friends following the service in the church fellowship hall. Jane was the daughter of the late Herbert Glenn and Emma Sue Huffman Moser and was also preceded in death by her husband, David "Sonny" Elwood Bullard. Surviving are her daughters, Audrey Bullard and Dawn Stanley (James); sons, David Bullard (Meredith) and Joseph Bullard (Andrea); grandchildren, Mason Stanley, Julia, Alayna, Owen, Everett, and Henleigh Bullard; sisters, Martha Shoffner (Harold), Betty Beckom (Jerry), Gale Schenck (Melvin) and Beverly Sizemore and brother, Calvin Moser (Bernice). Loflin Funeral Home of Liberty is honored to serve the Bullard family.